Last week was a shortened week for my APES students. As a result of Thanksgiving break, they were only in class Monday and Tuesday. I always like doing a unit on food before the Thanksgiving holiday. It is important that as the students eat their way through the holiday that they are aware of how their food choice affect their world. 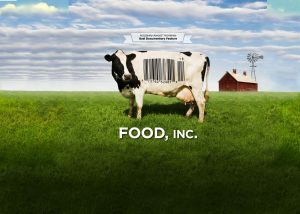 Tuesday we watched Food Inc. This film, while highly biased, is a great primer on the intersection of food, politics, and the environment. I would highly recommend checking it out. This week we have reports from three APES students. In this week's two day lesson in AP Environmental Science, we learned topics from Chapter 11: Feeding the World. On Monday, we took a reading quiz on a reading dealing with industrial farming methods and other more sustainable methods of producing food for the population. Along with these topics, we read about the production of meat and fish. This topic includes CAFO's, fisheries, and ways to still produce the meat and fish sustainably through aquaculture and free-ranging. The last half of Monday's class and Tuesday, we watched a video which featured the controversy of food production here in America. Showing the "cruelty" to farm animals and lack of legislation, this video certainly brought debate within the class. Tuesday: We continued the movie which basically gave us examples of how we are being greatly affected by the different processes of food and how it could affect families( for example, Kevin's law was put fourth to national awareness to show how the processing of food can affect anyone at anytime of their lives. We also read an article on bananas which we discussed as a group and we shared our thoughts about what should the COA be for making the the transfer of bananas safe and most importantly, safe for the people who transport and consume them. Shifting agriculture: clearing land for farming and using it until it is depleted. Also on Tuesday we watch Food Inc. and took notes to turn in.